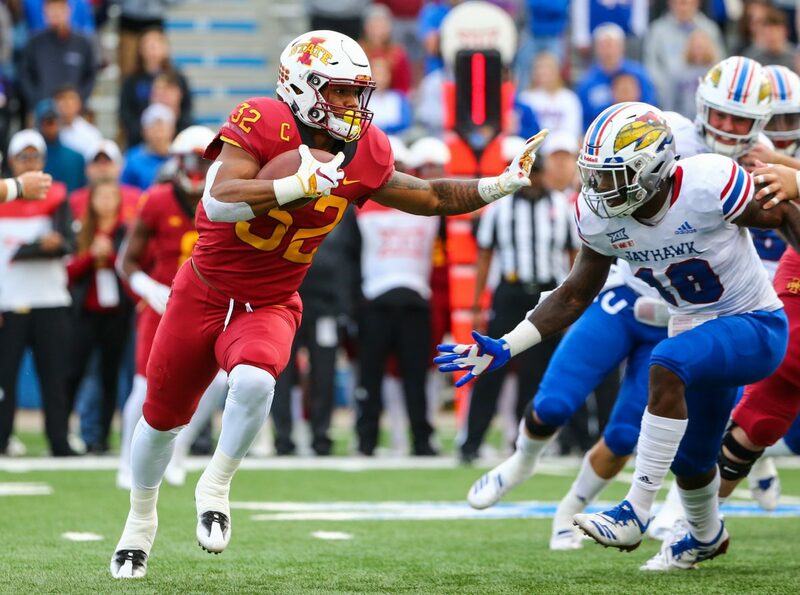 Before I begin, let me make one thing very clear: Anyone with a brain would rather HAVE David Montgomery playing for the Cyclones compared to the alternative. However, Iowa State is facing a new reality this winter with spring football approaching: Two very good players (Montgomery along with wide receiver Hakeem Butler) left the program early to become eligible for the NFL Draft. For some perspective, I’ve been covering Iowa State football since the year 2004 and this is the first time any player has left early due to his elite status (the last Cyclone to do so was Troy Davis in 1997). Even with the knowledge of the early departures of these future pros, most prognosticators are not only picking the Cyclones to finish in the upper half of the Big 12 next season, but some believe Iowa State is a legitimate dark horse to win the whole thing. Culture. But we’ve got all offseason to bloviate about that. I want to analyze something I saw last week while re-watching last season’s 48-42 victory over Oklahoma State in Stillwater. Note that Montgomery missed that game due to injury. 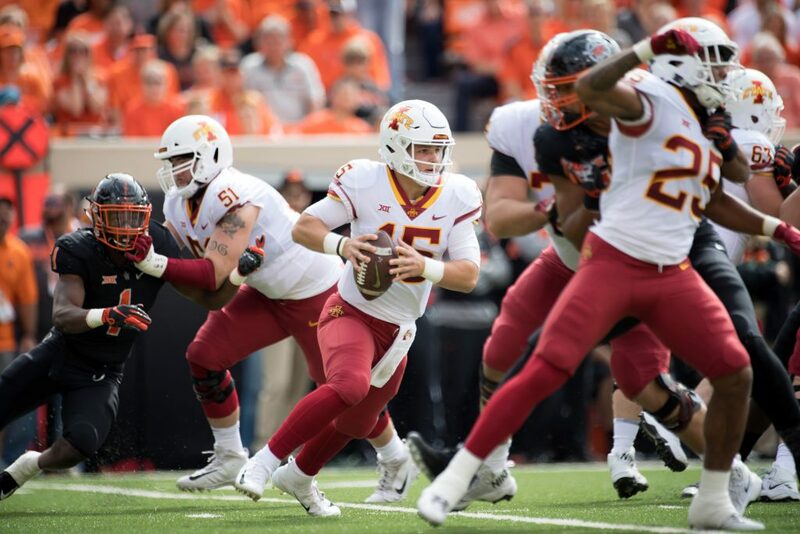 This was also the game where Brock Purdy officially introduced himself to the Cyclone Nation with a 418 yard, four touchdown outing while going 18-for-23. In relief of Zeb Noland, Purdy also ran for 84 yards and a touchdown in the win. My big question: Why/how was Iowa State able to accumulate 7.4 yards per play without its best player? Also, how can that performance carry over to next year when No. 32 is in the NFL? 1 – Perhaps that performance had more to do with Purdy than it did any of the running backs. There is definitely something to this but I still think a lot can be learned from this particular contest in terms of how the running game might look next year. ISU attacked the edges with the same regularity with which they attacked the middle with Montgomery. Kene Nwangwu’s 10 carries were impressive and versatile. Purdy allowed for an option action to the edge which further stretched the defense. Also, given Purdy’s inexperience, moving him to the edge away from the pocket was the natural and conservative strategy in that game. His ability to improvise in space along with the speed to the outside with Lang and Nwangwu put the defense on its heels. For the future, I can see a running game that utilizes the option and sweep/cut scheme being well suited to the returning personnel. Montgomery is fast, but his game was cutting powerfully in traffic. The current stable of talent has a better knack for moving past traffic with speed to less capable tacklers. The Oklahoma State game gave us a look at how that might work. 2 – Without Montgomery being there as a security blanket, it forced the offensive coaching staff to be more aggressive with schemes. Keep in mind that in his entire Iowa State career, Montgomery only fumbled twice (both in bowl games ironically) and one of those wasn’t actually a fumble. Matt Campbell is a conservative football coach by nature. Even when he “takes risks” like going for it on fourth down, Campbell generally doesn’t view it as a risk because these moves are so calculated. He plays percentages. When you have an elite running back like Montgomery, who you unequivocally trust to get more with less while holding onto the football, it is quite easy (and correct) to just hand the ball off to him as opposed to pressing and making a mistake. With the assumption that the power run game would be antithetical to the skill set of the replacement players, the scheme adjusted to a horizontal spread and vertical air attack. The remainder of the Purdy/Montgomery games adhered to the vertical air attack, but continued to rely on the inside zone run with Montgomery. The Oklahoma State game showed Campbell stressing the space defenders by forcing them to run and chase versus move forward and fill. That aggressive attack with speed left Oklahoma State searching for a pivot to bring contain, which in turn, opened inside running and passing lanes for Purdy and compressed the deep coverage for shots over the top. 3 – Montgomery is an elite improvisor. Going forward, with a better line, Iowa State will play with more traditional running backs. To me, this is the most important point. In addition to ball security, the skill set that made Montgomery the perfect ball carrier for Iowa State over the last three years is that his improvisation skills were the perfect fit for the makeshift offensive line we saw develop during the first three years of the Campbell Era. Montgomery’s legacy at Iowa State – in my opinion – will be one of a magician who consistently got four yards out of absolutely nothing. How many times did we see him hit at -2 and finish the play +2. It was incredible to watch. However, Iowa State’s offensive line SHOULD take a strong step forward in 2019. There is also an argument to be made that at times in 2018, the line was actually performing at a solid rate (minus the false starts, the Alamo Bowl is a good example) and Montgomery had a tough time adjusting to it (reading the defense, hitting the holes). Note: I compare the above example to a quarterback that is so used to being pressured, he doesn’t know what to do with ample time. 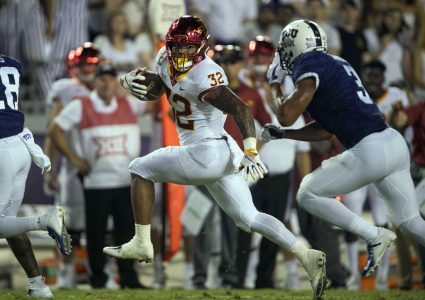 With an improved line, added downhill blocking schemes and more traditional north to south runners (Nwangwu as an example), Iowa State has a shot to not only compensate for the loss to Montgomery, but continue to grow in the running game next season.